Too Darn Hot is the Epsom Derby favourite after his win in the Solario Stakes at Sandown. Too Darn Hot has been promoted to favouritism for the Epsom Derby and 2000 Guineas following his high-class display to win the Solario stakes at Sandown. An impressive seven-length winner on debut over a mile, the John Gosden-trained colt was stepping up in class but down in distance for the Group Three race over seven furlongs (1400m). This year’s Derby winner Masar won the corresponding race a year ago. 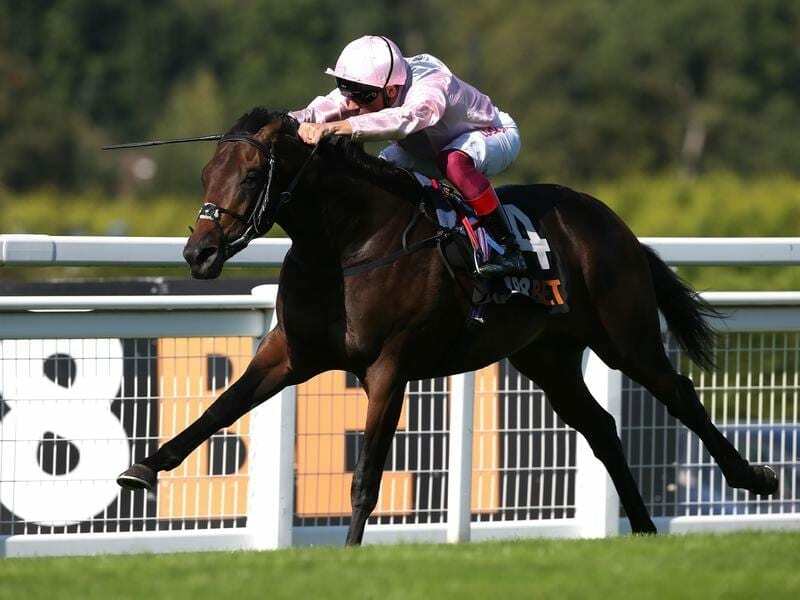 Too Darn Hot showed signs of greenness at times and was caught a little flat-footed entering the straight, but once Frankie Dettori got the even-money favourite organised the result was inevitable. Royal Ascot winner Arthur Kitt gave chase but only got within four lengths with Confiding another 3-3/4 lengths away. “He’s Too Darn Hot, that’s for sure!” Dettori told ITV. “I rode the mum, I rode the dad, all his siblings, and while he’s still a work in progress, to put a good field to bed like that, you’ve got to be impressed. “He was still a bit green at the top of the straight so I let him get balanced before I asked him to get serious and stop playing – then the turbo kicked in. Thady Gosden, assistant to his father, said Too Darn Hot’s next race had yt to be determined. “He’s always shown plenty of ability at home and it’s quite good that he can transfer that to the course,” he said. The colt is now available between 5-1 and 8-1 for the Derby.